This article is published in collaboration with the international Violence and Exiting Violence Platform (FMSH). Sylvain Antichan: Lee Jarvis, you are working on security discourses, the adoption of counter-terrorism policies and their political and social impact through the lens of the British case. 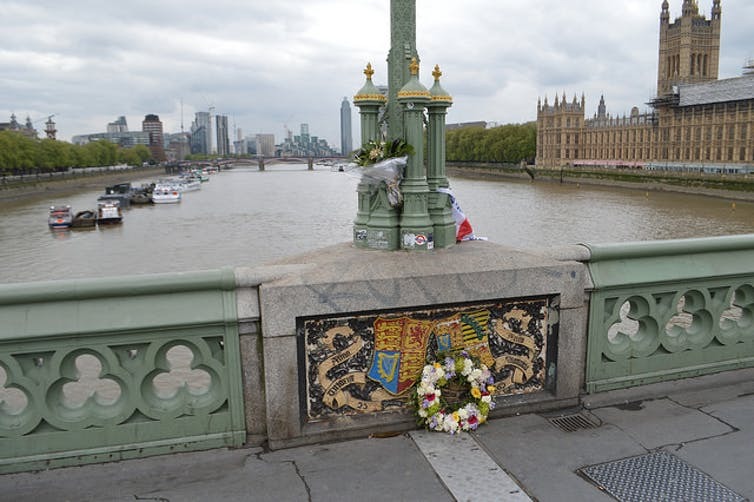 After the London bomb attacks that were particularly murderous on July 7, 2005, killing 56 people and injuring hundreds, the country had not experienced any major terrorist attacks for 12 years when they increased again in 2017. What can we conclude from the observation of this period of time, in terms of the discourse’s variation, in terms of adoption of counter-terrorism measures, of their uses or of their social and political impacts? Lee Jarvis: There are, in my view, at least two ways in which temporality becomes significant within counter-terrorism policy. The first relates to the timing of particular actions – the passage of a new law, the banning of a specific organisation, or an update of a counter-radicalisation strategy, for instance. None of these is an automatic or objective response to external events; all are influenced by political contexts, interpretations, and interests. In the British context, specifically – but not exclusively – counter-terrorism policy tends to be characterised by very quick and immediate responses. 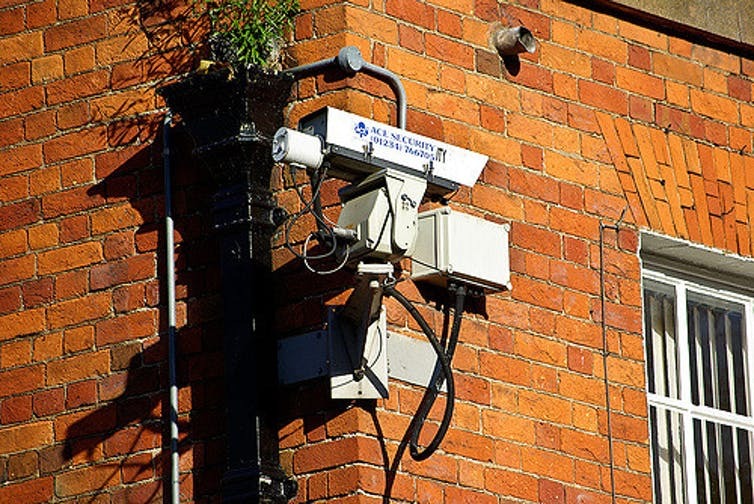 The recent Investigatory Powers Act, nicknamed the “snooper’s charter” bill, is an example. It was enacted in 2016. Among other features, it promotes mass surveillance and allows Internet browsers to stock your data for a year. In part, these measures are deployed to respond to public expectations of the State when confronted with urgent threats. Yet at the same time, there is also an accumulative dynamic in which new policies introduced for short-term experience tend to stay around for far longer than their initial justification. One such example is the French “State of Emergency”, which has been lifted only to be, in a way, reintroduced through more permanent measures this year. This is why we should be so wary of arguments around the need for dramatic new counter-terrorism powers because of (ostensibly temporary) exceptional circumstances. This brings us on to the second way in which temporality becomes significant in counter-terrorism policy, which is as a form of discursive resource. Political, media and other efforts to make sense of terrorism are thoroughly saturated with arguments or assumptions about time. We can see this through reference to attacks by their date (“7/7”; “9/11”), through the use of historical comparisons – “the new Pearl Harbor” in the United States, “the spirit of the Blitz” in the United Kingdom. It is also done through explicitly temporal projections coined under expressions such as “new terrorism” or “a new normalcy”. Being able to control how terrorist attacks – and counter-terrorism policies – are positioned in time is, therefore, a particularly important way of influencing how attacks and policies are understood. It may justify particular courses of action in response to past or predicted events but could also limit our ability to think about the importance of finding alternative ways of countering terrorism. S.A.: Your researches aim specifically at understanding the role of these discourses and their counter-terrorism policies in the definition of an national and civil British identity. Could you present us your reasoning and your principal conclusions for this point? L.J. : A starting point here is to approach identity as something which is made, rather than given: something that emerges out of our actions (and is therefore fluid and contestable) rather than an attribute or possession that dictates how we behave. Counter-terrorism policy, I think, plays an important role in contributing to the shaping – and the selling – of a particular story about national identity because it relies so heavily on claims about who they – the “terrorists” – are, and, in turn, who “we” think we are. So, decisions to ban or proscribe terrorist groups, for instance, are repeatedly justified by reference to the cowardly, murderous, and irrational nature of the organisation being targeted. Such references play an important role in justifying their exclusion from the body politic: how could we possibly tolerate the presence of such groups amongst us? The banning of organisations in this way also reproduces a particular understanding of the self – in this case, Britain – as a moderate, tolerant, liberal, democratic space which is utterly anathema to the cowardly, murderous, and irrational groups now on the outside. The paradox, of course, is that this construction of national identity goes hand in hand with quite significant incursions on freedoms of speech, association, and so forth that we might instinctively associate with tolerant, liberal, democratic, spaces. Proscription, though, is not the only example of this (although it is, in my view, surprisingly under-studied). Something similar happens in the context of counter-radicalisation policy, too, which in the British case relies heavily on claims around fundamental or mainstream “British values”. Who gets to decide what these values are – and how they are to be measured – is again, a deeply political question which is rarely acknowledged as such in security politics. And any attempt to define these values will inevitably flatten or erase differences of opinion about British life and history, militating against alternative understandings of who we think we are. S.A.: Another part of your researches focuses on the effects of these discourses and of these policies on citizens that are said to be “ordinary”, on their sense of belonging and their everyday lives. What are, from this point of view, the prominent effects of those policies and those discourses? How do they differently affect the different populations in the country? L.J. : Counter-terrorism policy – in fact, all security politics – has implications that run throughout social and political life. For instance, think about the proliferation of CCTV cameras, the arming of police, restrictions on international travel or people self-censoring in online debate. Yet, to fully understand the nature and extent of these implications it is imperative that we engage with those who are subject to such powers. Rather than simply theorise about the impact of security politics on citizenship, in other words, we should speak to citizens directly. Doing so adds depth and nuance to our understanding, encouraging us to think about some of the different ways in which security politics affects everyday life. In some of the work that I did with political scientist Michael Lister, we tried to investigate these directly, by asking different publics to talk about counter-terrorism politics. We found a variety of public dispositions toward contemporary developments in British policy in this area. Those people who were more sympathetic to these developments focused on issues including the significance of the terrorist threat, the need for governments to reassure publics about their security, and the existence of important and reliable judicial safeguards (in the context of miscarriages of justice). Those people who were more sceptical, in contrast, argued that contemporary counter-terrorism powers created fear within the general public, alienated minority communities, had limited value in protecting us from terrorism, and had the potential for misuse. Many people – especially from minority communities – argued that these powers limited their willingness to participate in political life, and reduced the extent to which they felt British. This type of research cannot generalise about the extent to which such attitudes are felt. Nor can it, really, identify the causes of these dispositions. It can, however, offer a richer understanding of how different individuals, and perhaps different communities, make sense of the politics of security, and the impact thereof upon themselves and others. This seems important to me, if we want to think about conditions like security and citizenship as lived experiences rather than simply as abstract statuses.